I like to write my own pieces on this site, but sometimes I read things that resonate much too deeply to ignore. Things that I want to shout from the rooftops and say, This is real life. This is my life. Why didn’t I think to write that first? Suleika Jaouad writes a column for the New York Times called “Life, Interrupted,” about being a young twenty-something with cancer. Sounds familiar, right? Her article today struck a chord deep inside. I hope you’ll read it and understand exactly what my family and I go through playing the patient-vs-insurance game every single day. I hope you’ll pray for health care reform in this country and that it helps instead of hurts and doesn’t end up leaving we chronic illness patients just more sick and tired. Like a lot of other young people, I never thought about health insurance until I got sick. I was 22, and my adult life was just beginning. But less than a year after walking across the stage at my college graduation, I received an unexpected diagnosis — acute myeloid leukemia — and with it came a flurry of consultations, tests and appointments. From early on, my doctors told me I would need chemotherapy and a bone marrow transplant. But before the shock of the news could settle in — before I could consider where and how I would be treated — I did what most Americans must do when beset with a medical crisis: I called my insurance provider. Before I made that first phone call, I confess I didn’t know exactly what the word “premium” meant. And “co-pay” sounded to me like what happens when friends split the bill at dinner. Certainly, the term “lifetime limit” had no meaning to me yet. The last time I could remember getting sick had been a two-day bout of food poisoning during my junior semester abroad in Egypt. Now, I was facing cancer — and I was beginning to get worried about coverage from an insurance plan I knew virtually nothing about. If you have a chronic illness in America, there’s a good chance you also hold a degree in Health Insurance 101, whether you want to or not. The first thing I learned was how lucky I was to have health insurance at all. (An estimated 49 million Americans, and nearly one-third of Americans 18 to 24 years old, are uninsured.) I was on my parents’ insurance, a plan provided through my father’s employer. It’s a comprehensive plan that will cover me until age 26 — two years from now. I’ve been fortunate to be treated by excellent doctors at world-class hospitals. In the last year alone, my insurance has covered over a million dollars in medical expenses, including a bone marrow transplant and 10 hospitalizations amounting to a combined five months of inpatient care. It all sounds straightforward when I explain it like that. But even if you have insurance, the cost of health care — in dollars as well as in time and stress — is incredibly high. As health care was debated around the country leading up to the Supreme Court ruling on the Affordable Care Act in June, my bills kept coming in. Every time I see a doctor, get a CT scan, receive chemotherapy or pick up a prescription, insurance covers only part of the transaction — and there’s always a bill on top of it. For a cancer patient like me who visits the hospital on a weekly basis (and that’s when things are going well), every few days I owe another payment. Keeping track of how much I owe, and for what procedure, and why, can make my head spin. Just learning the ins and outs of my plan’s coverage takes sustained, persistent attention and energy, things that sick people have in short supply. And no matter how closely I keep track of the bills, there are always surprises and unexpected charges. During a six-week hospitalization for intensive chemotherapy, teams of doctors trickled in and out of my hospital room every few hours: my primary oncologists, the palliative care unit, gastroenterologists, X-ray technicians, infectious disease specialists and on and on. Most of the time I was too tired, too nauseated or too looped on pain medicine to remember who was who or what they were doing in my room. But my insurance company kept track. Even though my hospitalization was covered, many of the doctors who visited me were not part of my health plan, which meant that for every time they set foot in my room I would receive a steep out-of-pocket bill. After all, what was I going to do: tell the doctor prescribing my anti-nausea medication to skip my room because he happened to be out of network? Another cost of health insurance is time. Time is money, as the saying goes, but when it comes to cancer and health insurance, to save money takes up a whole lot of time. My mother graciously took on the task of disputing claims, keeping track of bills, requesting approval for a procedure or a drug, and spending countless hours on the phone with my provider. While it may be a labor of love for my mother, in practice, working out insurance questions is just a lot of labor. Between the long hours spent taking care of me and dealing with our insurance, my health care became my mother’s full-time job. So far, the out-of-pocket costs associated with my cancer care — co-payments, out-of-network charges, the costs of moving to a new city for treatment, fertility treatments not covered by insurance — have reached tens of thousands of dollars. The financial burden of cancer has not yet meant that my parents will need to get second jobs, or that we will have to sell our house — though I know of fellow cancer patients with and without insurance who have had to consider such options. But my mother has had to take the last year off work, a financial and professional sacrifice that’s due in part to the time required to manage my health insurance. What do others do who don’t have full-time help from a caregiver? My mother would do anything for me, but I wish she would be able to spend less time with my bills and more time with me. In two years, I’ll graduate from my parents’ insurance. What will I do about insurance then? Perhaps I’ll gain coverage through an employer — though holding a job seems like a tall task if I’m still in treatment. Isn’t it a contradiction that insurance is often tied to employment, but that the sick people who need it most are the ones who have the hardest time staying employed? If the Affordable Care Act remains in place, at least I won’t be denied coverage because of pre-existing conditions. That’s a huge victory, but what will the cost of that coverage be, and will I be able to afford it? When I’m lying in bed at night, I often worry about how cancer may affect my future: my career, my relationships, my dreams. Sick people don’t plan on getting sick. We shouldn’t have the added worry that someday insurance coverage may not be there. Or that a medical crisis could become a financial one too. When this came in the mailbox on Sunday, April 10,I couldn’t put it down. The photo made me nauseus, but hey, this girl (just like me!) lived! I don’t know her personally but we’re both fighting through liver diseases (and transplants), trying to go to nursing school. I know she’ll be great! Finally and happily, Marie Pasuit has that much-awaited light at the end of her frighteningly long tunnel. That peace of mind came last fall for the 21-year-old, petite cross-country runner from Stow in the form of a liver transplant. And not a moment too soon. Marie, the oldest child of Mark and Lisa Pasuit, was diagnosed during her junior year at Stow-Munroe Falls High School with end-stage liver disease. I caught up with Marie and her family recently when they contacted me [the author] about donating the vast amount of medical supplies she no longer needs. The game changer for Marie started out rather innocently. ”I started feeling like I had the flu one weekend,” she recalled. Then things got worse, and she regurgitated blood. Her parents whisked her to the ER at Akron Children’s Hospital. ”It was a rough night to say the least,” Lisa said of her daughter’s plunge into this abyss. What came next would be even more mind-boggling. ”An incredible doctor, Dr. [John] Fyda [a pediatric gastroenterologist], after a ton of tests, narrowed it down to a liver disease,” Lisa Pasuit said. ”Then there were more tests and a biopsy.” The diagnosis? Autoimmune hepatitis with macronodular cirrhosis. A second biopsy at Cincinnati Children’s Hospital confirmed the findings. On her 16th birthday Marie was placed on the transplant list. ”This hit us so quickly, we had no time to think, to react,” Lisa Pasuit said. ‘‘I don’t know how we survived. I think the only way we made it through is that after a while, Marie didn’t seem sick.” Incredibly, Marie was still able to participate in cross-country and 800-meter events. ”Running always came easy,” Marie said. The situation remained relatively stable for a couple of years. Then ulcerative colitis an inflammation affecting the large intestine and colon hit during her freshman year of college. ”The colitis was a lot harder than the liver disease,” Marie said. She had to forgo running and even going to classes. In fact, she was in bed most of the time. ”It all went downhill real fast!” Marie recalled. By last summer she was feeling listless and experiencing back problems. But she was determined to support her younger brother Ryan, who was playing in a baseball tournament near Columbus. So she accompanied her parents on the trip. At the hotel, however, her pain got progressively worse. Never one to cry wolf, Marie asked her parents to call an ambulance, which took her to a hospital in Dublin. ”Doctors there thought it was a bowel obstruction and that Marie was just a drama queen,” her mother said. ”It was NOT a good experience.” At the advice of doctors at Cincinnati Children’s Hospital and Dr. Fyda of Akron Children’s, Marie was transported to Cincinnati. ”She was just a mess!” was how Lisa summed up her daughter’s condition. Further complicating the situation was a newly found clotting disorder. But she improved and was able to return home. When her 21st birthday came along, Marie was feeling so miserable that she returned to the ER at Akron Children’s. A short time later she was on a helicopter, bound for Cincinnati Children’s Hospital, where she underwent immediate surgery for a bowel perforation. ”I got an ostomy [a surgical opening for the elimination of body wastes] as my birthday present,” Marie said matter-of-factly. A few steps forward and few steps back was how Lisa described her daughter’s medical journey, adding, ”Slowly she was getting yellow and green.” But ”one thing at a time,” was how Lisa said she and husband navigated the never-ending land mines. Lisa on leave from her job as a gymnastics teacher at Little Leapers in Hudson never left her daughter’s side during the several months she was hospitalized. Mark Pasuit, employed by J.R. Machining in Hudson, was there with his daughter as often as he could be. And ”it was always good when her brother could come down,” Lisa said. Marie was failing fast. Then out of the blue, Lisa recalled, ”I got a call at 6 a.m. on my cell phone… . A liver had been located. All they said was that it was a ‘young, healthy liver.’ That it was an hour flight away and a perfect fit!” Marie’s transplant surgery took place Sept. 23 in Cincinnati, and ran 14 hours. There are so many people to thank in addition to the donor’s family: transplant surgeons Drs. Maria Alonso, Jaimie Nathan and Greg Tiao; gastrointestinal specialist Dr. William Balistreri; and transplant coordinators Becky Rengering and Susan Seyfang. And everyone who continues to support the Pasuits with fundraisers and prayer. 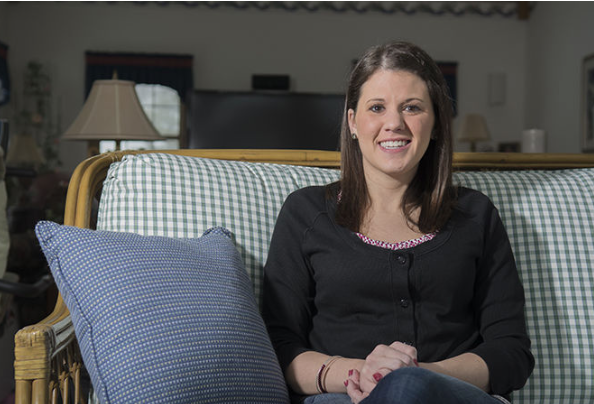 ”It was amazing how quick the recovery was from the transplant surgery compared to her other surgeries,” Lisa said. Still, there were complications. ”She had a hematoma between the lining and the new liver,” her mother said. In time that cleared up, too, and Marie was discharged on Oct. 14. She and her mother moved to an apartment not far from the hospital, where they remained until a week before Thanksgiving. It would be three months before those coming in contact with Marie stopped wearing masks. ”Of course, Purell was in abundance,” Lisa said of the cautions implemented in the wake of the H1N1 concern. Marie is not out of the woods yet. But she and her close-knit family are breathing a sigh of relief. ”We’re past the six-month mark when the risk of rejection is not as high,” Lisa said. Marie’s ostomy was reversed in January. The journey back to normalcy continues to be uphill, including Marie relearning to walk. She spent so much time in bed that her leg muscles began to atrophy. Marie still has a passion for running but had to give up her athletic scholarship. Even so, she plans to attend Walsh University in the fall to pursue a degree in nursing. Lisa who is buoyed by the passage of the health-care bill estimates her daughter’s protracted crisis has easily cost $2.5 million in insurance costs The family is fortunate to get the anti-rejection medications her daughter will need the rest of her life at a greatly discounted price. 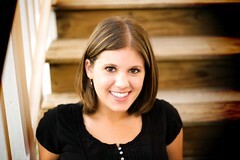 The timing of Marie’s story coincides with April being Organ Donation Awareness month. ‘‘Everyone needs to understand the importance of becoming an organ and tissue donor,” Lisa said. ”It is a lifesaving decision!” The Pasuits take every opportunity they can to underscore its importance. They even named their Weimaraner puppy ”Livvy” to celebrate Marie’s new liver. This story in the local paper by Jewell Cardwell touched my heart the instant I read it. It’s still on my desk and reminds me to carry on (2010, April 12). A runner in high school who won a scholarship, Marie is preparing to go back to college, study nursing. The Akron Beacon Journal. pp B1-4.